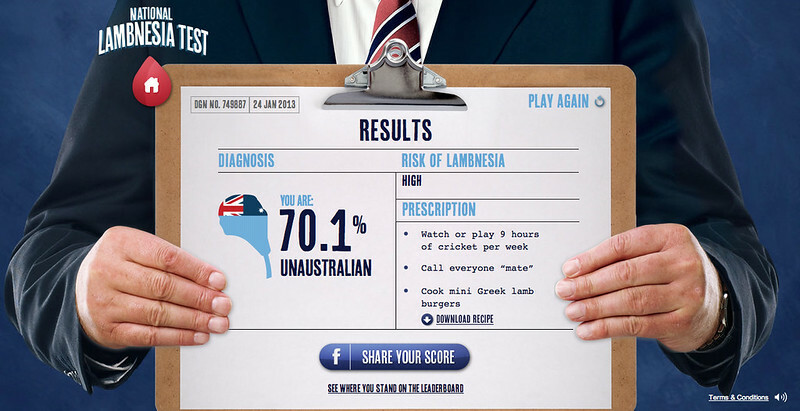 Our Life Down Unda: lambnesia. 26th January... It's Australia Day Mates! You can take Sam's lambnesia test here. Here are my results. Looks like I am off to eat some lamb burgers while watching cricket mates!